Scanned. 120 mm neg. 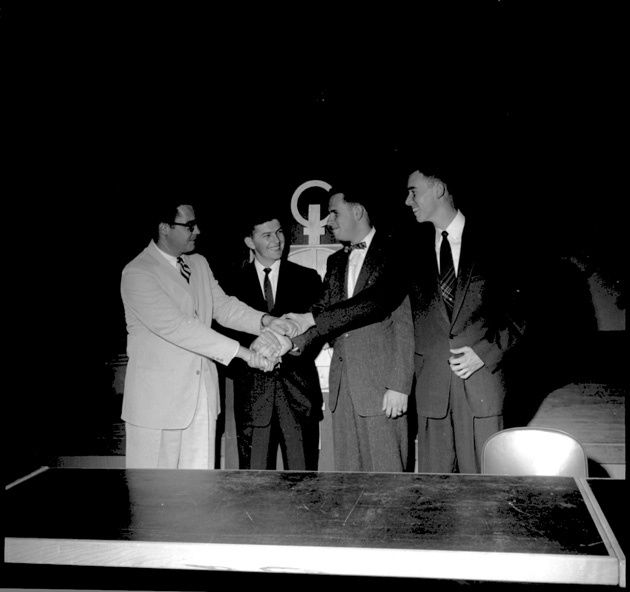 Four men shake hands. Photograph 3590 from the University Archives Photograph Collection.